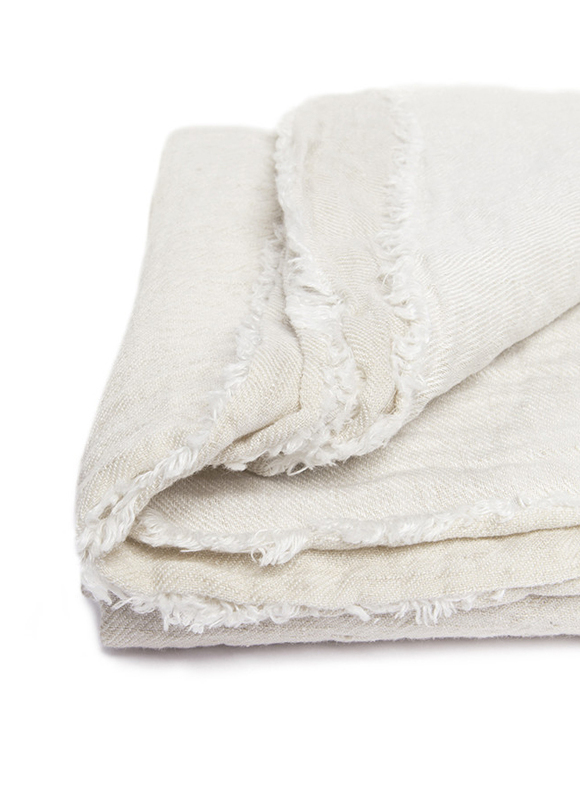 Linen throw made of 100% pre-washed linen in almond. Use it as a light throw, to cover your bed, or beach towel. 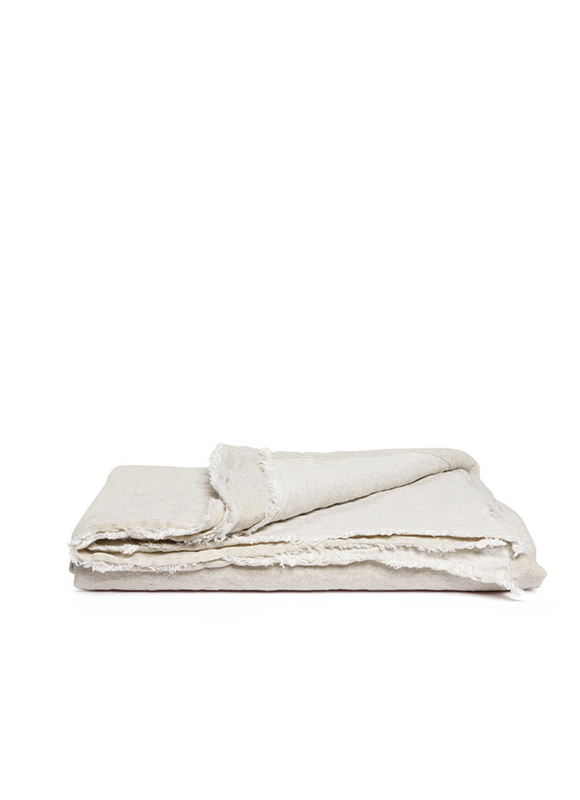 The linen fabric is woven to create a light and darker side, so you can use both sides of the throw. 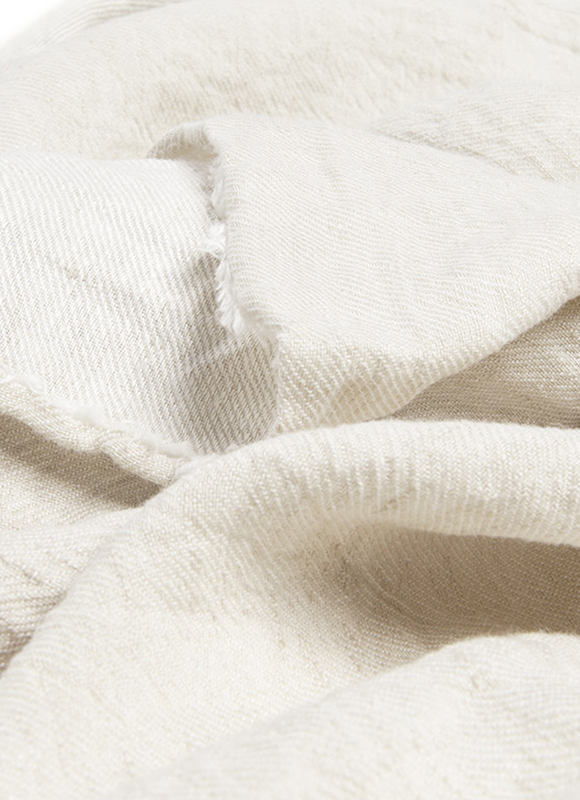 Our quality linen fabrics are yarn-dyed, which is not used very often and gives it depth in colour and character. 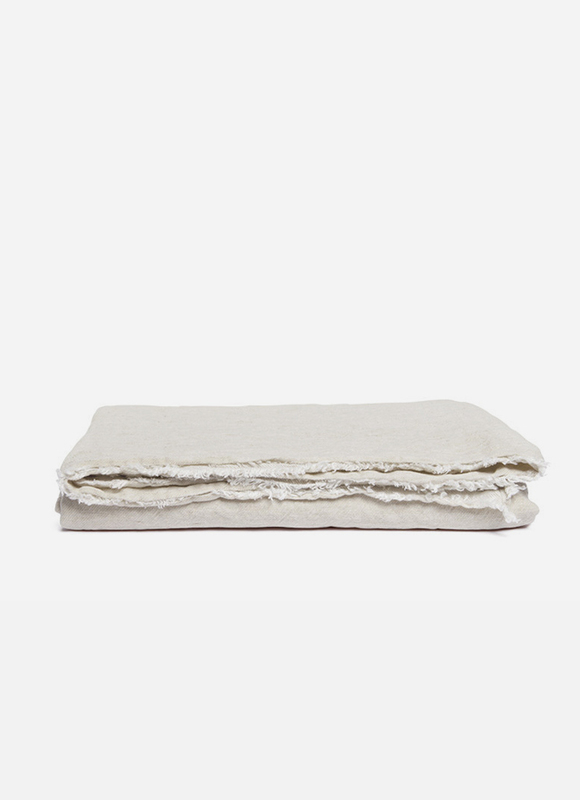 for this colour we use a combination of white yarn with one other colour, which gives the fabric a soft, pure look.